Admit it! You have fond memories of your high school homecoming event…the parade, bonfire and after game dance! 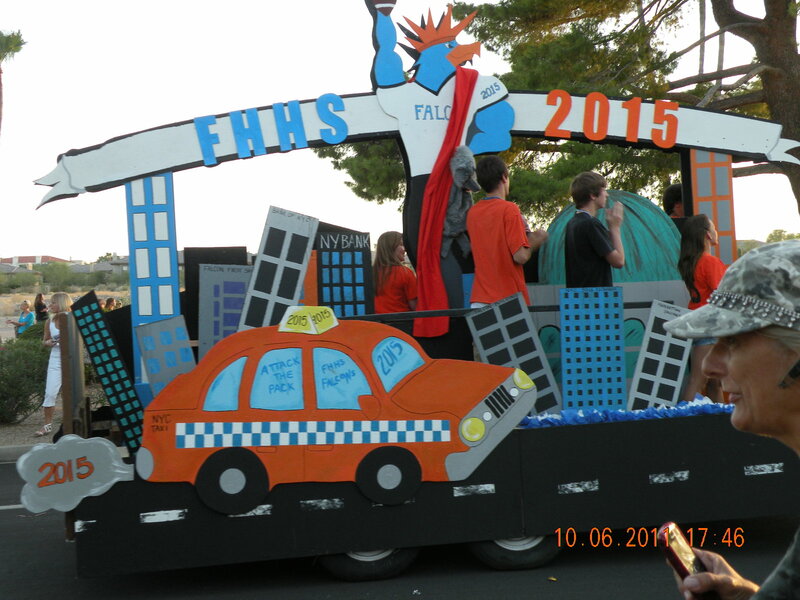 The Fountain Hills High School Falcons invite you to relive those memories and share in the camaraderie of a good old fashioned Homecoming Parade, Wednesday, September 26, on Avenue of the Fountains. The parade begins at 5:30 pm and offers all the rowdy, competitive fun 300-400 high schoolers can rev up. There will be bands, floats, sports teams, cheerleaders and yes, even royalty courts. After the parade, enjoy an old fashioned pep rally and then get ready for the big game Friday evening with a tailgating opportunity at Fountain Hills High School. Sonoran Lifestyle Real Estate is THE place to enjoy the activities, with beverages and snacks served. Stop by also for your Fall Info Packet: Updated Dining Guide, Real Estate Market Report and Fall Event Calendar. Be sure to get extras to share with your out of town friends! Festivities begin at 4:30 pm…come early to get the best seat! For those interested in one of the biggest high school football games of the year, Friday, September 28, at 7 p.m. is the Big Game against the Coronado Dons. Wear your Falcon Pride Royal Blue and GO FALCONS! This entry was posted in Area Events, Arts, Culture, Schools & Clubs and tagged Fountain Hills High School, Fountain Hills Homecoming. Bookmark the permalink.